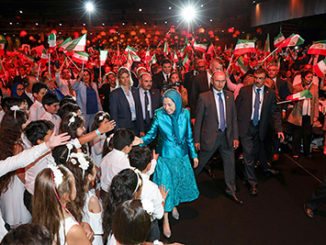 The following article is an actual event describing the Iranian regime’s terrorist activities in European soil against its main opposition, the National Council of Resistance of Iran (NCRI), the Parliament in exile of the Iranian Opposition. As I walked into the office on Monday, July 2 (2018), my colleague asked me, “Hossein, have you heard the news about the plot to bomb the gathering?” He was talking about the (terror plot against) grand meeting of the Iranian opposition (Free Iran 2018), hosted near Paris the previous Saturday by the National Council of Resistance of Iran. A shiver went down my spine as I flashed back to 28 years ago in Istanbul. In mid-afternoon on 14 March 1990, I was being driven to the Istanbul airport. Suddenly, a car blocked our path. Another car pinned us in from behind, and two strange men jumped from the front car with guns. I opened the car door and rushed at them, carrying only a small briefcase. One man fired nine bullets, the other’s gun jammed. They fled. I struggled to survive for four months, including more than 40 days in a coma at Istanbul’s International Hospital. A few days after the attack, state TV in Tehran announced—falsely—that Mohammad Mohaddessin, chairman of NCRI’s Foreign Affairs Committee, had been killed in Istanbul. It became evident that the attackers had meant to target him, not me. Nevertheless, Tehran tried several times to finish me off while I was in the hospital. On one occasion, agents disguised themselves as Turkish police; on another, they pretended to be friends coming to visit. Those plots were foiled, but many other victims were not as lucky. The human-rights activist Kazem Rajavi was fatally shot in Geneva that same year, and several Kurdish activists were killed (in Germany) in the two years thereafter. A German court four years later implicated the most senior officials in Tehran. Little has changed. Last month Belgian authorities arrested two Belgian nationals of Iranian descent on their way to that Paris gathering, which was attended by tens of thousands of people and hundreds of dignitaries from the U.S., Europe and the Middle East. The Iranian-Belgians had more than a pound of the powerful explosive TATP and a detonator. As a result of close cooperation of Belgian, French and German authorities, a major terror plot in Europe was thwarted with a few hours to spare. Separately, German police arrested Assadollah Assadi, an Iranian diplomat based in Vienna. According to German federal prosecutors, Mr. Assadi, the station chief of the Iranian Ministry of Intelligence and Security, was the mastermind of the bombing plot. He had ordered the Belgians to attack the rally, and had handed them the explosives at a June meeting in Luxembourg. He was arrested on a European warrant as he was rushing back to Austria, where he enjoyed diplomatic immunity. 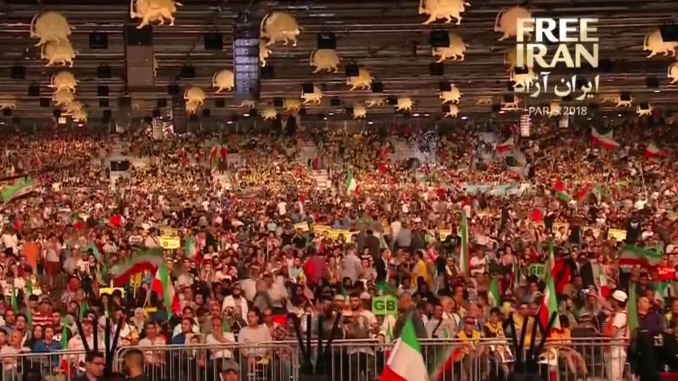 On July 10, a senior U.S. State Department official underscored that the plot to bomb the Paris opposition rally was only the most recent example of Iran using diplomatic cover to plot terrorism in the heart of Europe. So why are European governments remaining silent in the aftermath? One wonders how far they are willing to go to appease the theocracy ruling Iran. Europe should realize that it can’t conduct business as usual with a state that has institutionalized terrorism as statecraft. The embassies and agencies of the ayatollahs’ regime are centers of terrorism and espionage. 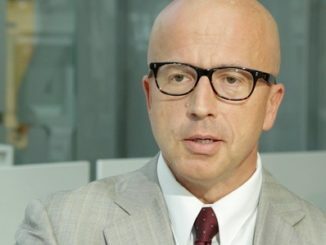 European countries should expel the regime’s diplomats and intelligence agents and disclose all details of the foiled terror case to the public. 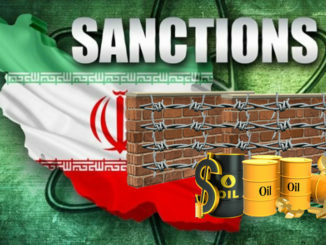 Only by these means can the world cripple the Iranian regime’s terror machine—which would be good for the world, the region and Iran itself.